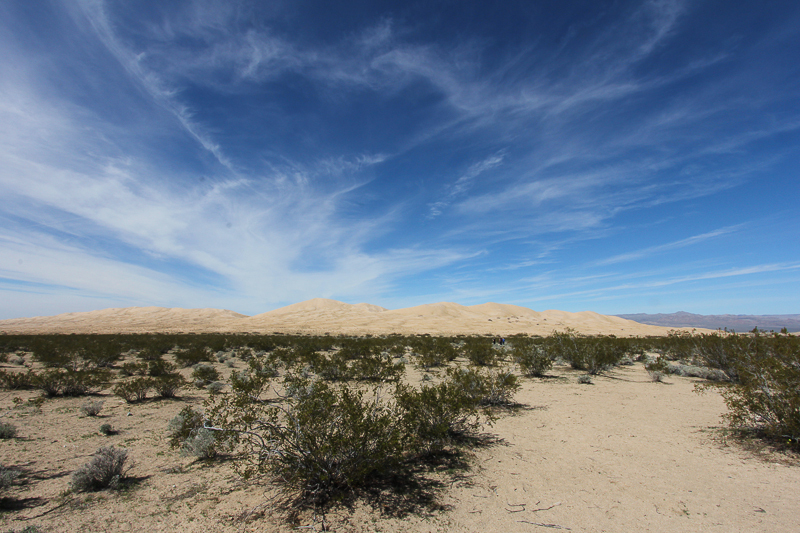 March 7, 2014 - Today's adventure was a road trip to the Mojave Desert to see the Kelso Dunes, located within the Mojave National Preserve. 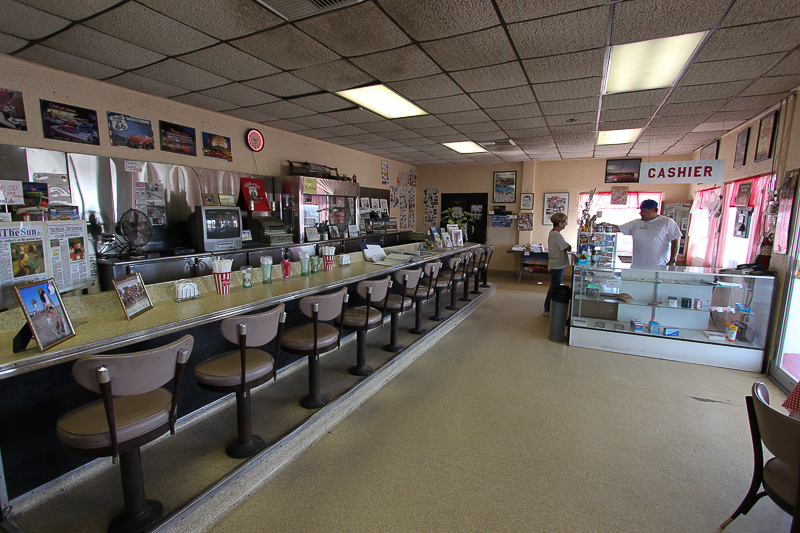 There aren't any restaurants in the preserve, so we had breakfast at the Carousel Cafe in Twentynine Palms, CA before venturing any further north to our destination. It was a traditional breakfast that kept us fueled for the whole day. 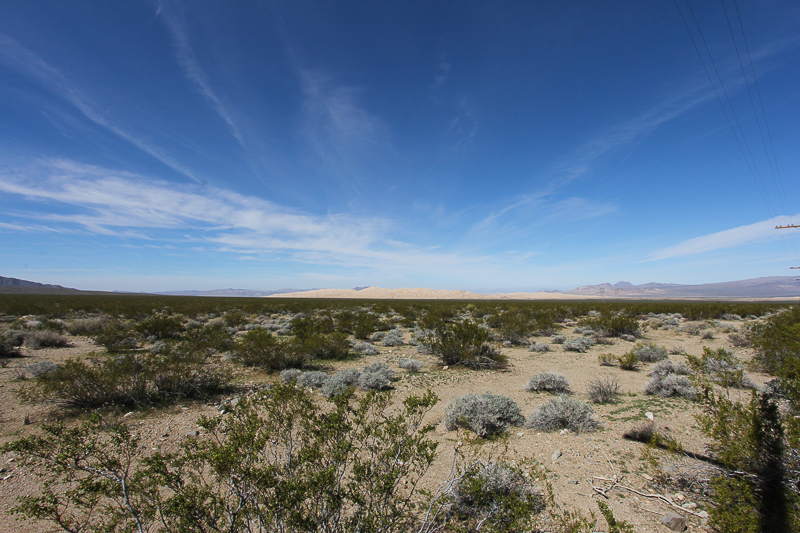 The view of the Mojave was spectacular on our way to our first stop, the town of Amboy. 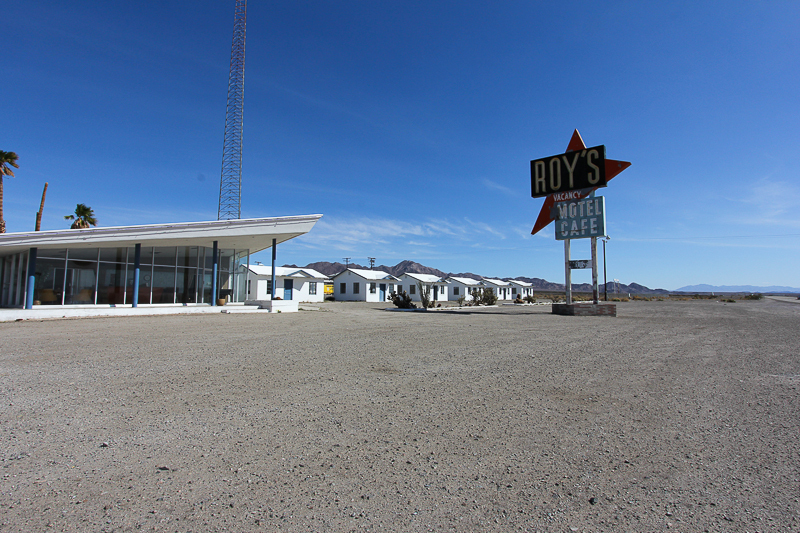 Amboy's heyday was during the '40s, '50s and '60s due to its location on historic Route 66. 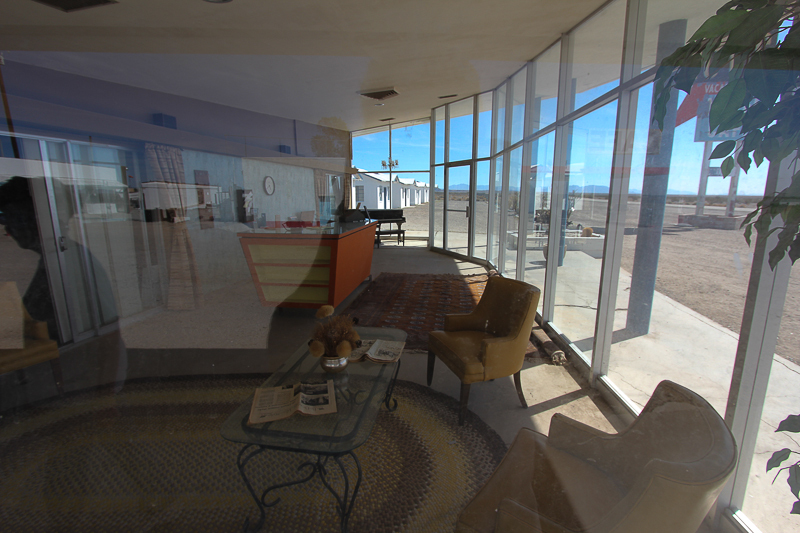 However the new Interstate Route 40 to the north bypassed the town resulting in its decline. 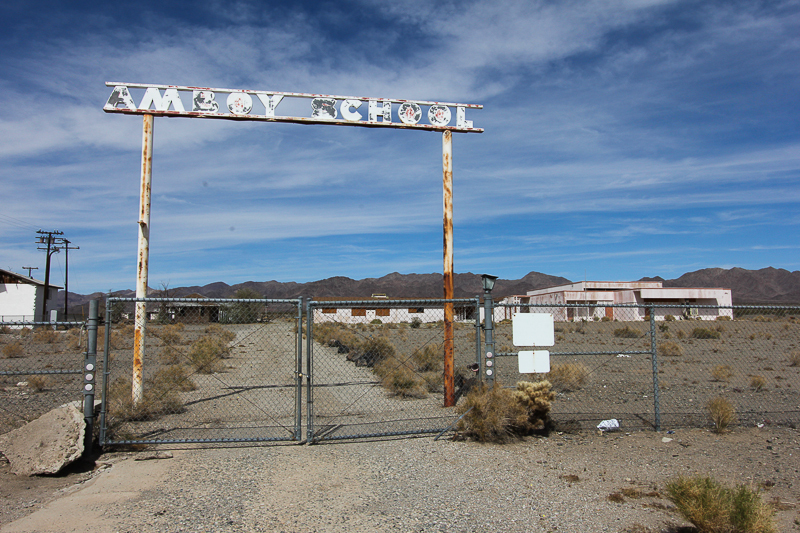 It's a ghost town now, although its slogan is "The ghost town that ain't dead yet!" 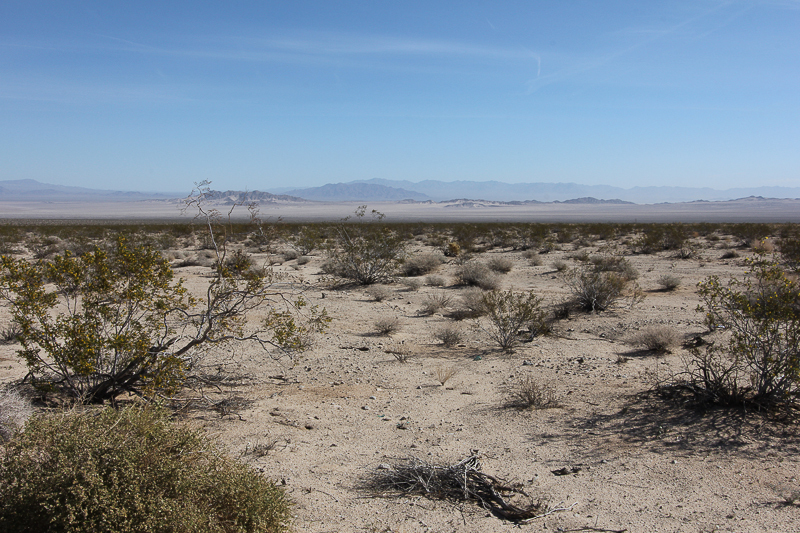 However, it looked pretty dead to us. 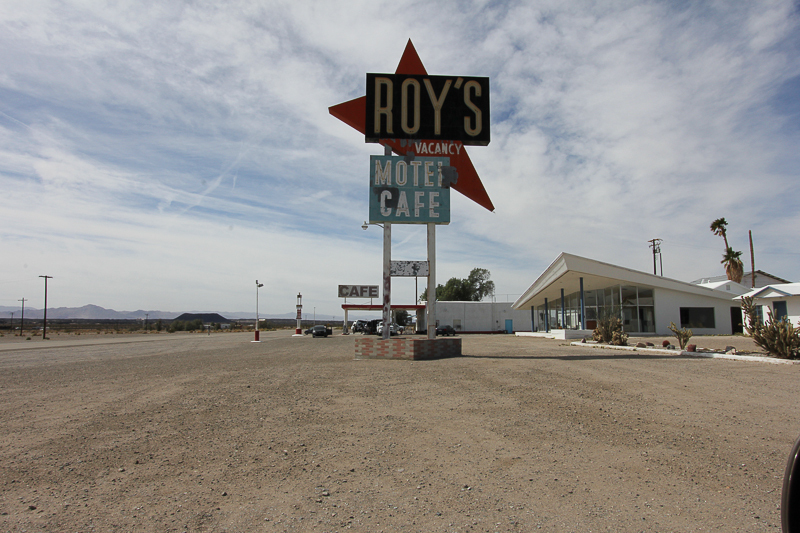 It's main attraction is Roy's Motel and Cafe, no longer in operation, but a favorite for various location shots for Hollywood movies and television shows, as well as passing motorcycle riders. 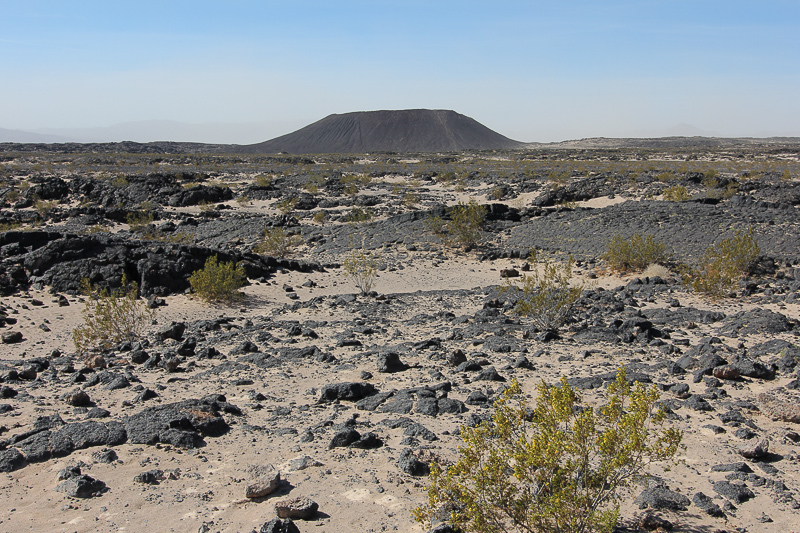 The Amboy Crater is a 79,000 year old volcanic crater and lava field that is another claim to fame for Amboy. 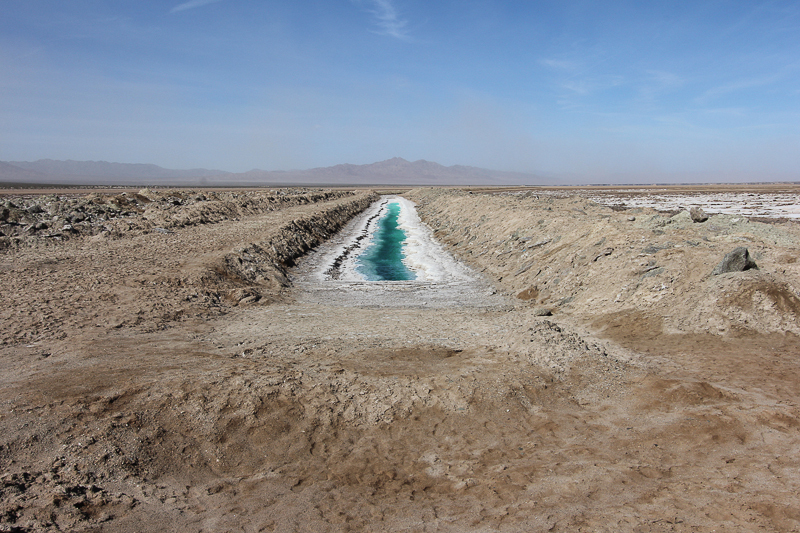 And the salt flats south of Amboy are still active in chloride production. The crater is visible from Roy's if you happen to stop there for their $4.99 a gallon gas or chat with their friendly attendant. 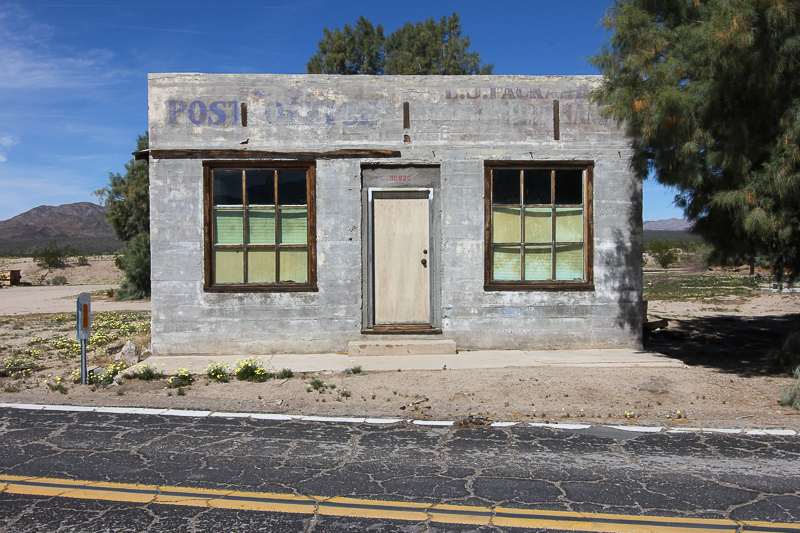 Our next stop was another ghost town, Kelso Depot, located just north of the dunes. 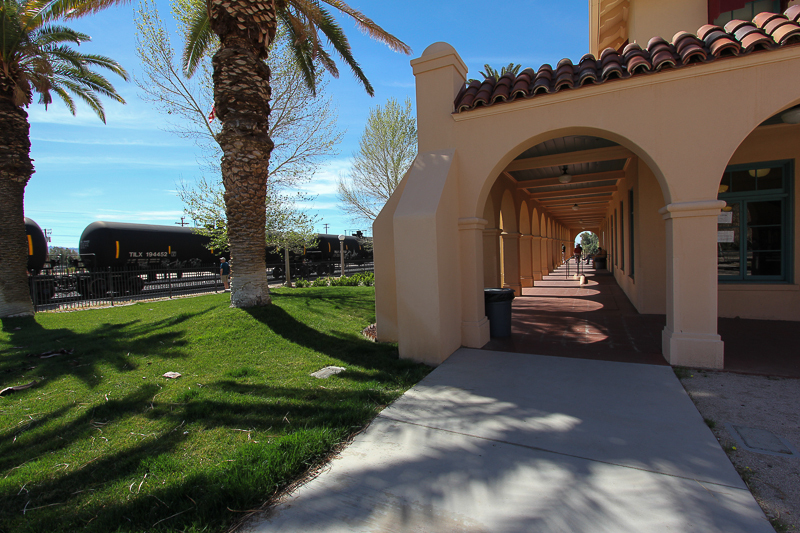 Kelso Depot was built in 1924 by the Union Pacific Railroad. 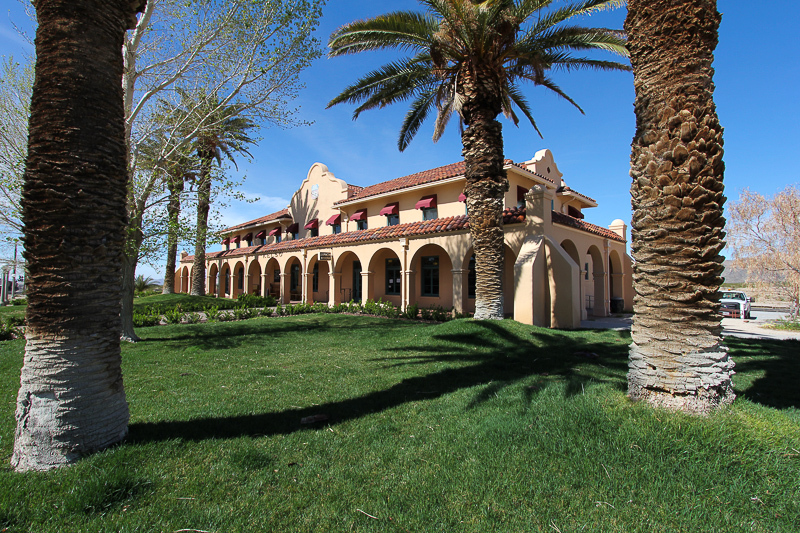 The graceful Mission-Revival style of the building served Union Pacific passengers and employees for more than sixty years before closing in 1985. 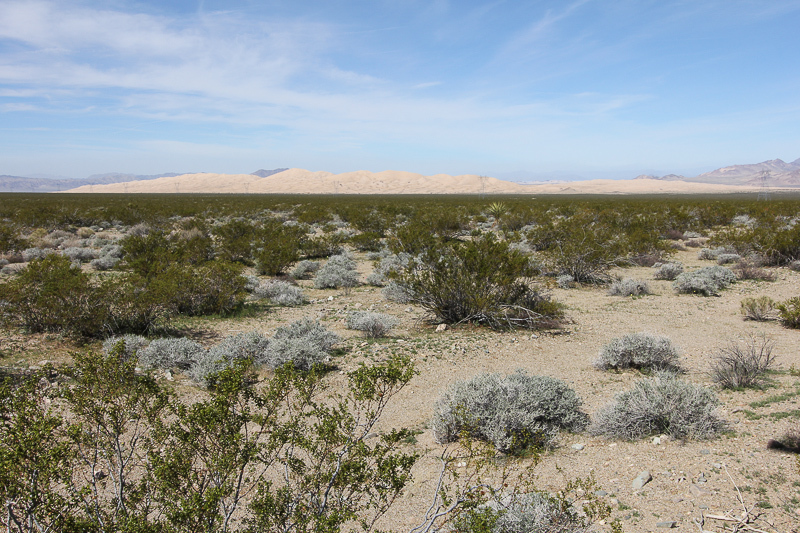 It is now maintained by the National Park Service. 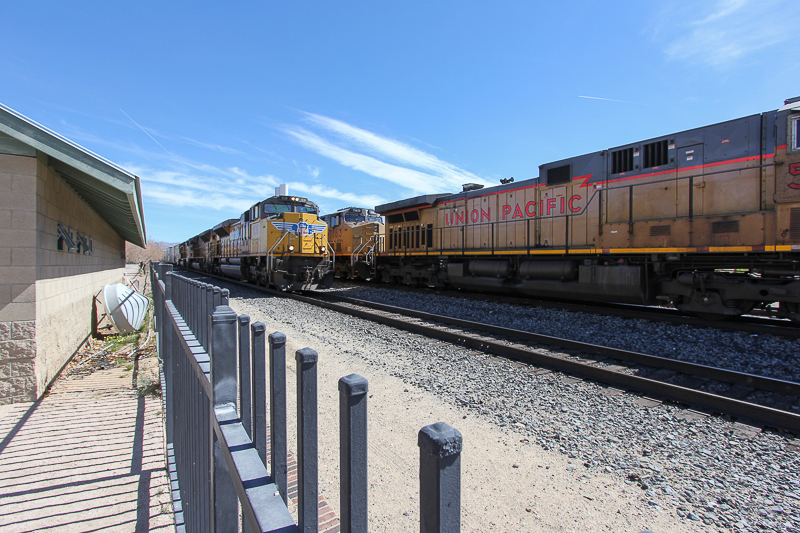 We were lucky enough to see a Union Pacific train pass by the depot while we were there. 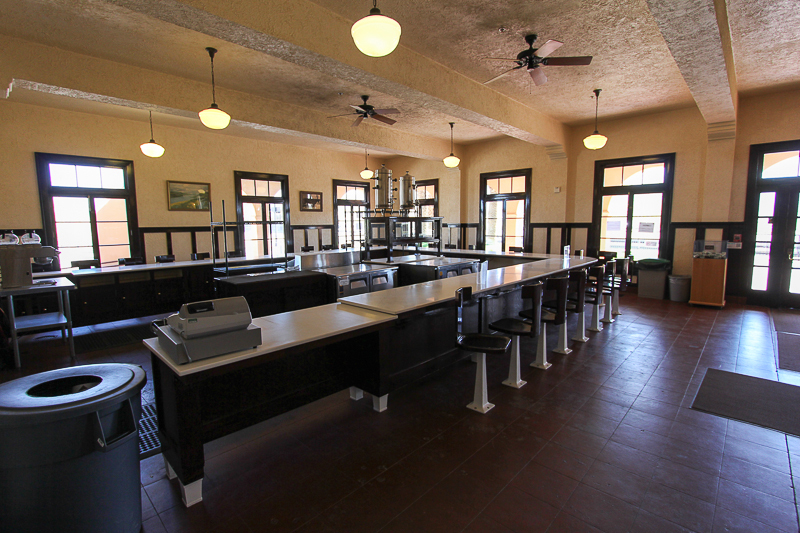 Their lunch counter, called "The Beanery" since 1924, lost its concessionaire last fall and is now closed. 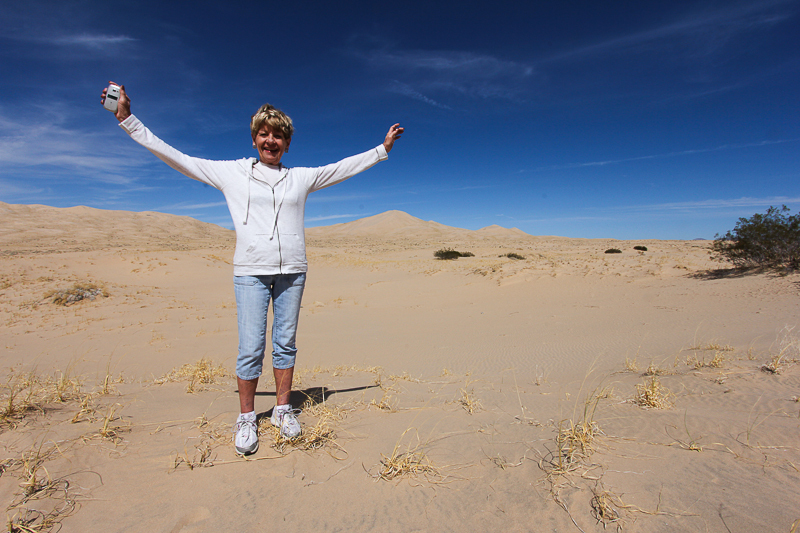 Finally we arrived at the dunes, rising 600 feet above the desert floor. 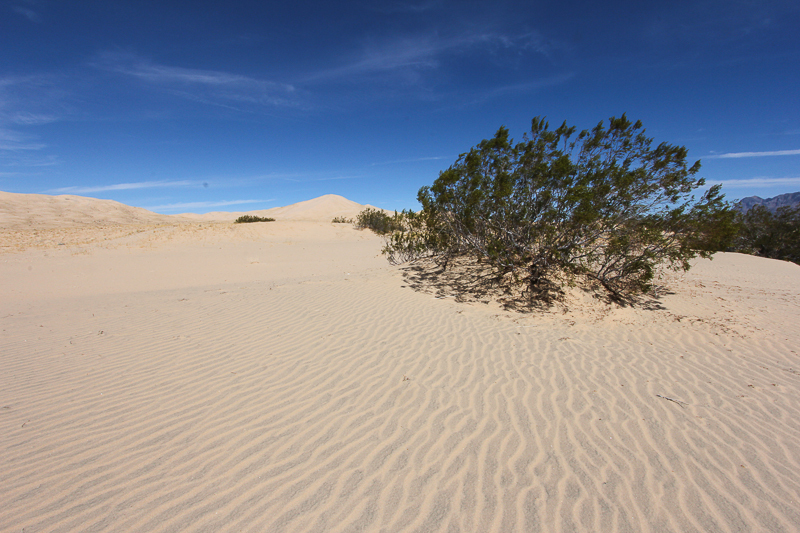 The Park Ranger we spoke with at Kelso Depot told us it would be about a three hour hike to reach the summit and return to the base. 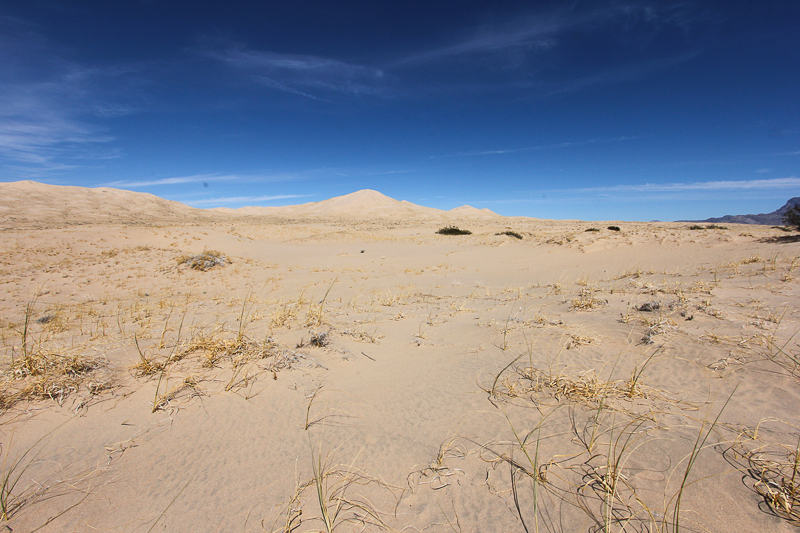 So we simply enjoyed the dunes at the lower levels without making the big trek up. After eight and a half hours and 354 miles we were back in Redlands and very thankful that we had made the trip.